"It does not matter, how intelligent you are, how well off you are, or how well connected you are. Your perseverance, your courage- if you keep that intact, only such people will always be successful". 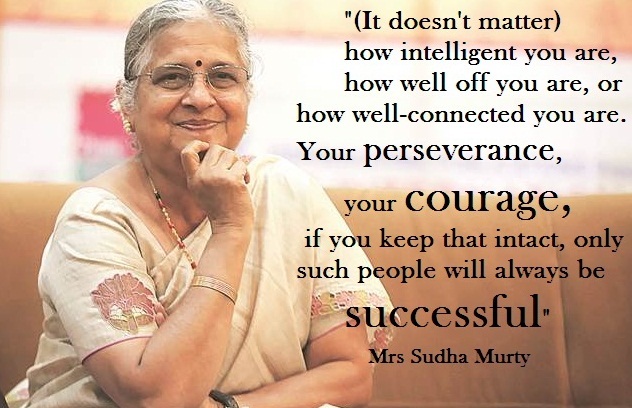 ~Mrs Sudha Murty.